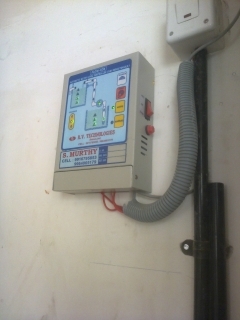 Automatic water level controller is a device though which your sump electric motor will switched on automatically and get switched off automatically once tank is full. There are companies available who will come and install these water level controller sets in your house for your sump and over head tank. Basically it will work with a device. First, they will identify a suitable place to keep this machine. Ideally all the people will keep this machine near motor switch. Recently we installed water level controller instrument for our house 1st Dec 2013. From upper tank also one more cable will be pulled until motor switch. Both of the wires will be joined in the instrument and motor wire also will get connected to this instrument. 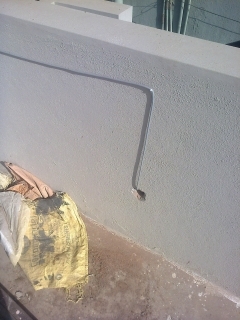 Provide a pipe till sump so that you need not take this cable wire out side. If cable is outside then there is a good chance that it will get damaged. Price: When I purchased it is 2750 rupees. This includes the system, wire and installation and labour.